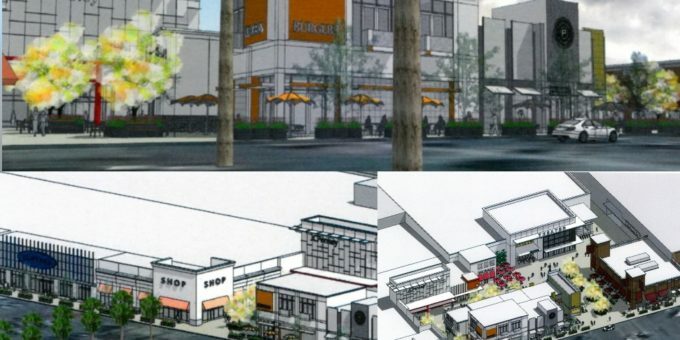 On March 4th, 2019, city leaders anonymously approved renovations to begin at the Merced Mall. Renovations are expected to start later this year and be completed by 2021.
contemporary look. The proposed improvements for Phase I would include extending the southern elevation to the south approximately 80 feet to add an additional floor and pedestrian area. The vacant retail space located to the east of the main Mall entrance (previously occupied by (CVS) would be reconfigured and leased to new retailers and restaurants, some of which would have storefronts facing the parking lot adjacent to West Olive Avenue. Phase II, Alternative 1, would add the theater to the existing building between JC Penny’s and Kohl’s Department Stores. The roof would be opened to create a pedestrian Mall and open courtyard in front of the new theater. The height of the new theater would be approximately 50 feet tall and would continue the use of a more modern design for the building elevations. 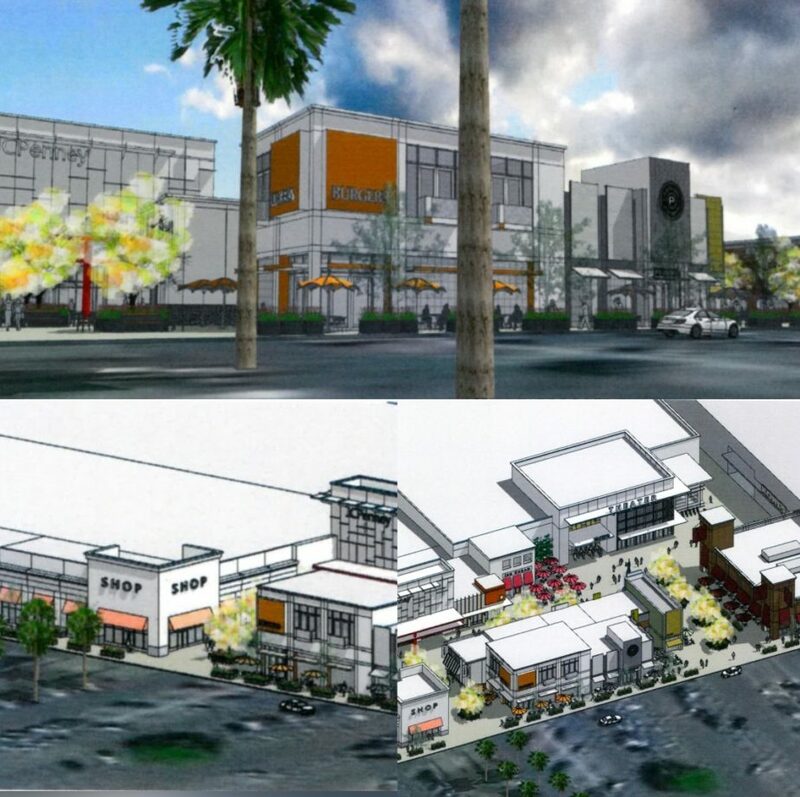 Phase II, Alternative 2, would demolish the existing theater and two retail spaces to the east of the Merced Mall. Specific elevations for the proposed 70,000 square-foot theater have not been provided, the design and height of the movie theater would be consistent with the exterior additions completed under Phase 1 and would be approximately 50 feet tall. Specific elevations for the proposed 70,000 square-foot theater have not been provided, the design and height of the movie theater would be consistent with the exterior additions completed under Phase I and would be approximately 50 feet tall.